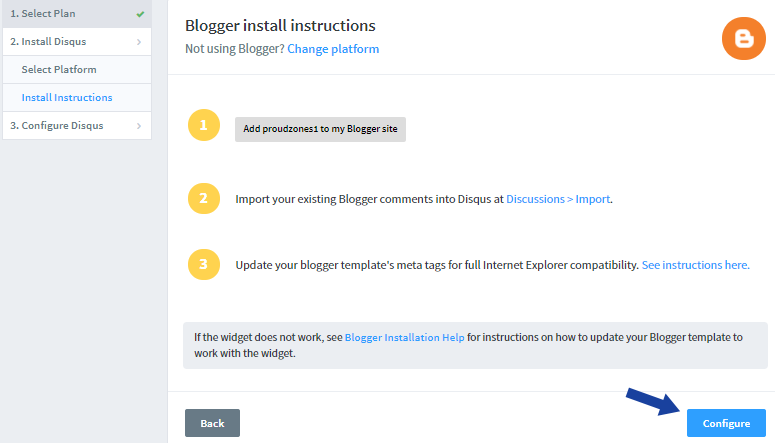 1 Why use Disqus comment box on Blogger? 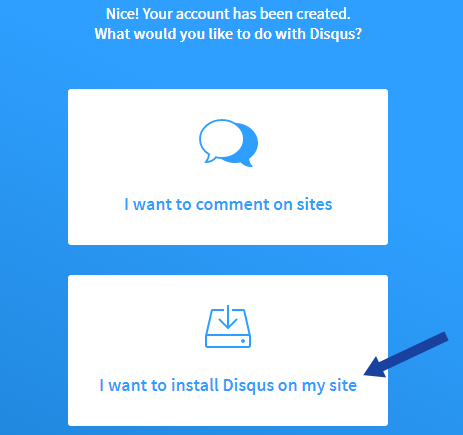 Adding Disqus comment box to your blog on blogger is really easy and can be helpful for your visitors to comment on your site. We all know that blogger platform does provide a built-in comment box for bloggers, to let the visitors comment on their posts. But I think you have probably noticed that it doesn’t allow to leave a comment using your social media account, nor it looks beautiful or professional. 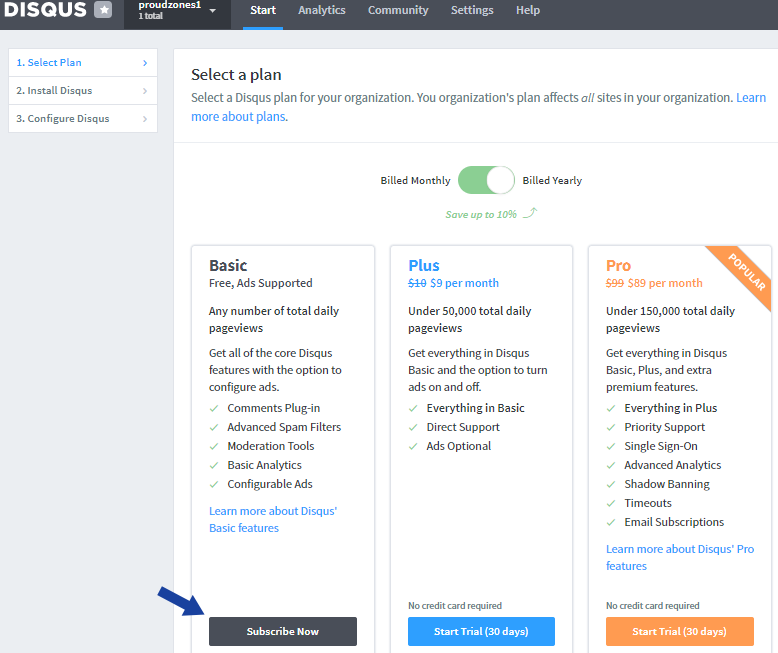 But, luckily Disqus comment box provides more features than blogger for free to customize your comment box and you can also let your visitors comment on your blog using their social networking accounts. 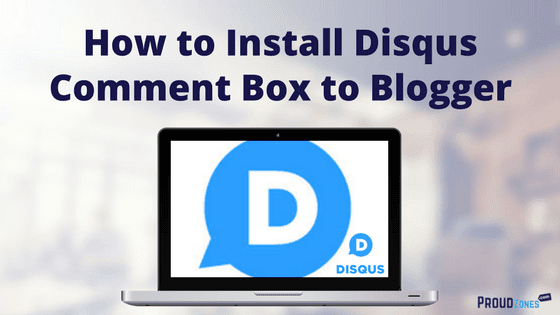 So here in this tutorial, I will show you how to integrate Disqus comment box with your blog on blogger. Why use Disqus comment box on Blogger? It automatically adapts your site’s design and you can also set it to your own desire. Disqus supports all devices from desktop to mobile, including Google AMP pages and supports 70 languages and counting. 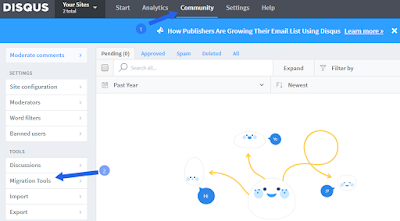 It automatically detects and removes spam comments before it lands on your site. The best part about Disqus is its free and can be used on any blogging platform. The integration process is very faster and can be applied to your blog in the next 5 minutes. Before I begin this tutorial, I want to let you know that there 2 ways you can install Disqus on your blog. By adding Disqus codes manually to your template. So, I will show you both the methods one by one to help you select the easiest method for you. 1. 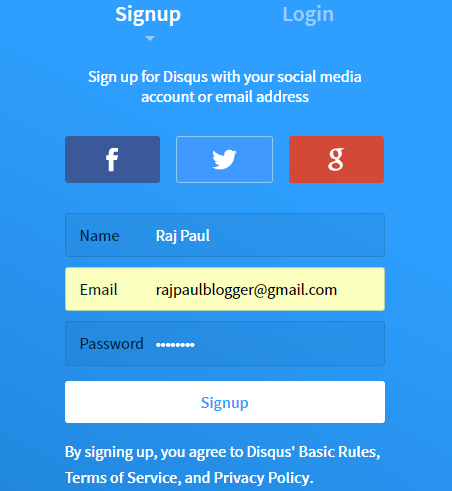 Go to the official Disqus website and click on ‘GET STARTED’ to register a new account. 2. Now you will get 4 options to open a new account. Either you can use social networking accounts or you can use your Gmail address. It will better if you use your Gmail account instead. Enter your NAME, EMAIL ADDRESS, PASSWORD and click ‘SIGN UP’. 3. After signed up, you will be asked to choose whether you comment on other websites or you want to add it to your blog. 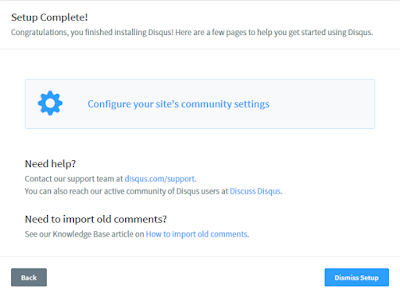 So, click on ‘I WANT TO INSTALL DISQUS ON MY SITE’. 4. Enter your website name and select your blog category (your niche) and hit ‘CREATE SITE’. 5. 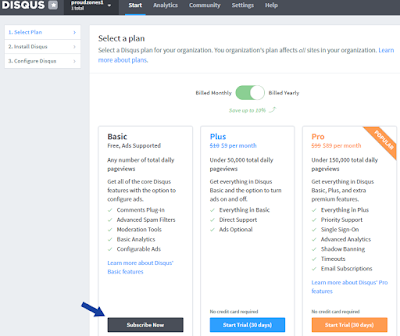 Now you will be redirected to the pricing page, select the basic free plan and hit ‘SUBSCRIBE NOW’. 6. 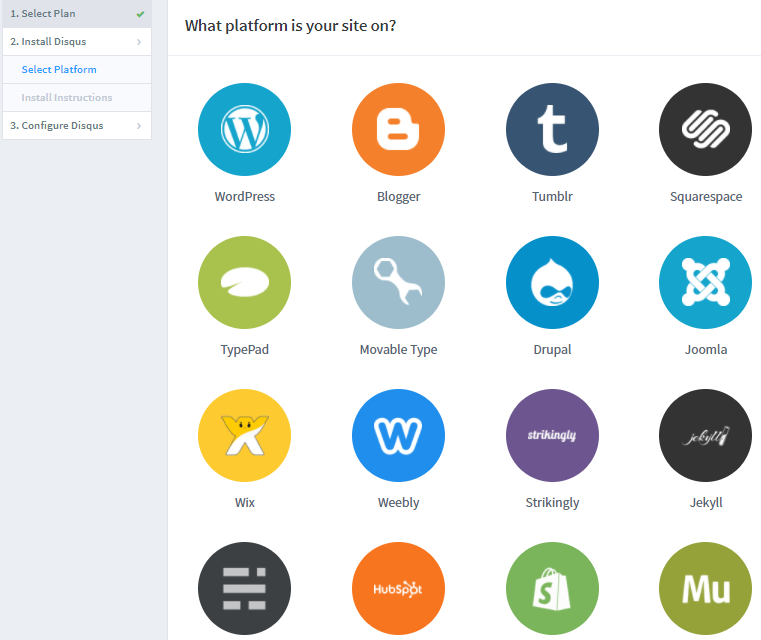 Now you need to select your blogging platform, Choose ‘BLOGGER’ as your platform. 7. You are being redirected to the installing process. Hit on ‘CONFIGURE’ button. 8. Now select ‘APPEARANCE’, enter your blog URL, write DESCRIPTION and click ‘COMPLETE SETUP’. Congratulations, you finished installing Disqus! Now click ‘Dismiss Setup’ and you will be redirected to the Admin area. If the above first method didn’t work out for you, then you can try out the second method by adding HTML codes manually to your template. The HTML process is classified into 2 categories. First, you need to add a gadget manually and then you need to override your theme codes. For your comfort, I’ve arranged the method in 2 simple ways. 1. 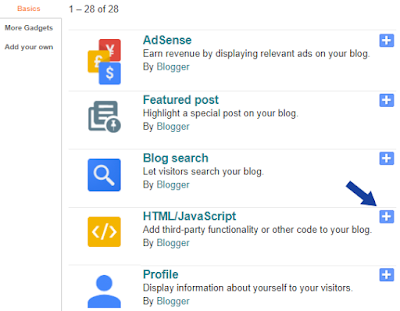 Go to your Blogger Layout page and hit Add a gadget in the sidebar. 3. 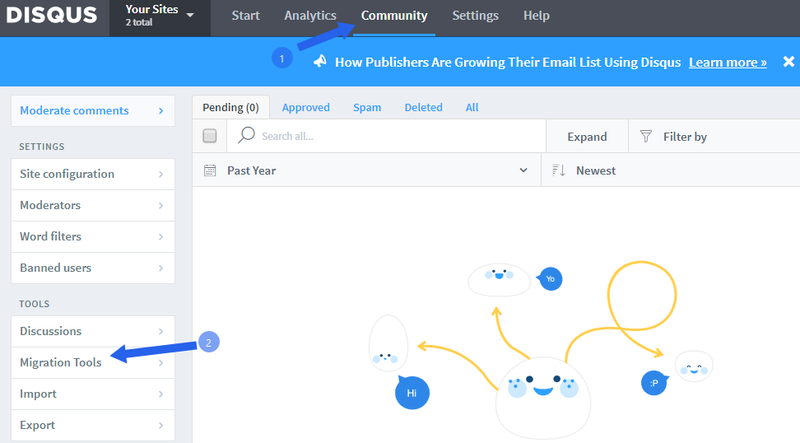 Enter Disqus as the title name and the below codes in the content and click save the widget. The next step will be to add the Disqus code to your template. 1. On your Blogger dashboard, go to Theme section, backup your blog template and hit Edit HTML. 2. Click on the text area, and enter (ctrl+F) on open the search box and then search for the below term. Just make sure to replace “EXAMPLE” with your forum short name and be sure to leave ‘&#39;’ in front of your short name and ‘&#39;;’ after it. After applying all the codes, click on save the template. 1. Login to Disqus and go to Admin section. 2. Click on Community and hit Import. 3. 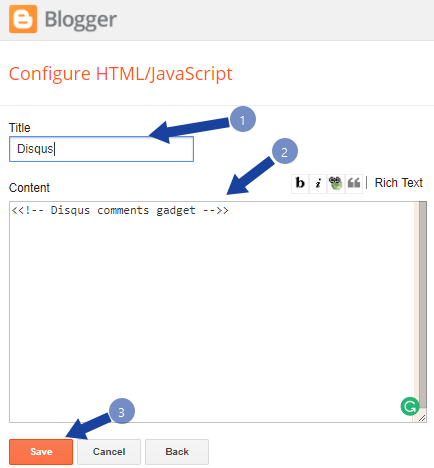 Now select Blogger and click on one-time import and then Sync new comments. 4. Now you will be asked to sign in with your blogger associated Gmail address, and then a new window will appear to let you select the blog you’d like to keep synchronized with Disqus. Click on your blog. Congratulations! You have successfully imported your blogger comment to Disqus. 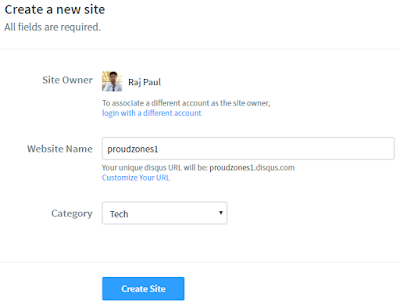 After adding Disqus to your blog, you can easily customize comments theme color, moderation, etc. from Admin area. If the first process doesn’t work on your blog then you can try the second rule. 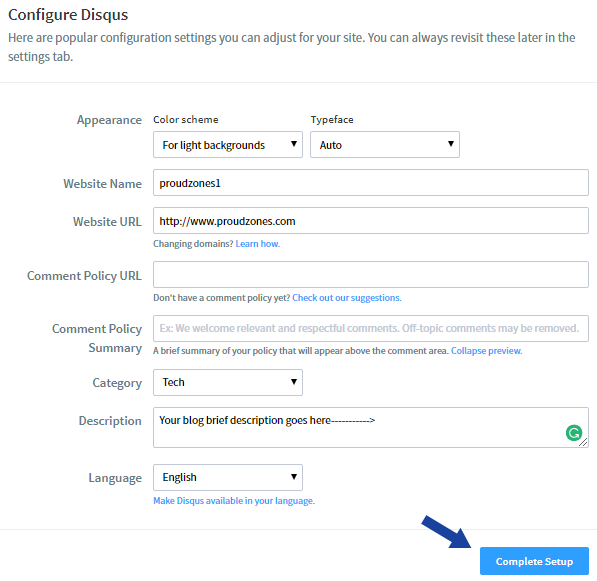 Getting errors while adding Disqus Comment system to your blog? Let me know in the comment box below.